Being that I live in the US, getting a hold of his music is not always easy, but thanks to Amazon.uk and the internet I have managed to obtain 90% of his work. 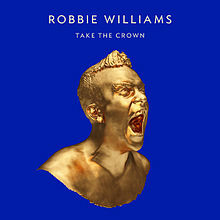 Today is the release of his brand new album Take the Crown. Yes, I will own it! 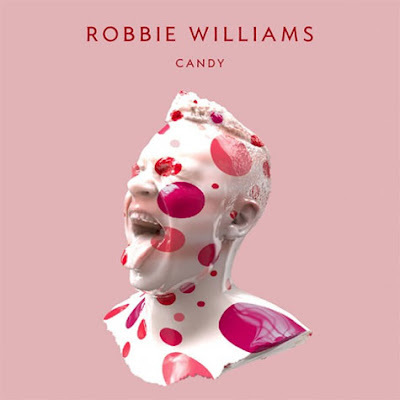 The first song released off the album was Candy. It's so fun! It's one of those song you can't help but tap your foot to! In honor of the release of Robbie's new album I did Candy inspired nails! I started with a different color on each finger! My middle finger is based on the cover art for Candy. I used my dotting tools and Zoya Reagan, Lara and Shelby. I promise they are all pink, but for some reason the camera didn't want them to be pink! I used RA115, White on the Spot and Essie Good as Gold. I kept my ring finger simple. I used BM306 and Zoya Reagan. Somehow I missed my Index finger! It is based on the album cover. I used BM08 and Good as Gold. I topped the whole design off with 2 coats of HK Girl. OMG YES!!!! I love it!!! Great mani! 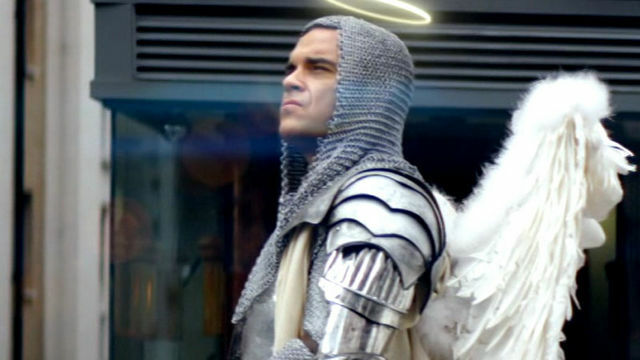 For the basecolours I immediately recognised the pink and silver from the videoclip. So pretty! I used to really love Joss Stone! Wow, I love this! It all goes together so well! Great inspiration! I had no idea Robbie Williams was still relevant. haha! I loved all your polish! !